Either he knows a lot about gardening, or he’s a whiz at Photoshop. I’m betting on the first, which is why I interviewed him for this week’s podcast, The Weed-Free Garden. During the interview, Lee explained how each of these precepts grows from the ones before, how each benefits soil and plants, and how to manage them. This last is a darned important area, because a lot of people (me, for instance) will wonder how in heaven’s name you can add air, amendments or fertilizer without digging. Lee advocates an entirely top-down approach to these. An organic mulch will feed worms and other soil organisms (not to mention plant roots), which aerate soil. The right mulch also serves as fertilizer and amendment. So Lee mulches with a half-inch of compost a year. That’s it. And he plants intensively—several crops per bed, per year. But my favorite piece of advice from Lee is this one: if you can’t resist digging, set aside a 2′ by 2′ plot, and dig your heart out there. Just don’t inflict this nonsense on your plant beds! After getting a PhD in horticulture at Maryland, Lee Reich started his professional career as a researcher with Cornell and the USDA, but he has long since given that up to become a writer, lecturer, and “avid farmdener”—what he describes as more than a gardener, less than a farmer. 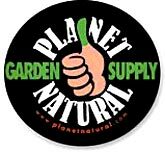 He has written numerous books, including Weedless Gardening, the basis for this week’s show, and most recently, The Pruning Book. You can get signed copies by ordering on his website! He blogs at In Lee’s Garden. John Traunfeld, Extension Specialist & Master Gardener Program Director at the University of Maryland. He has several YouTube videos, including one on No-Till Gardening, demonstrating an easy way to kill turf and start a garden, all in the same season. When I called him about this, he said he’d gotten the method from Lee Reich. 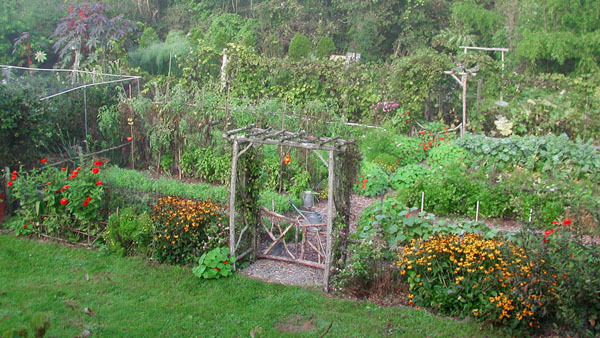 No-Dig Vegetable Garden— very useful site. Sounds like a permaculture design to me. Thanks for the advice, I just moved into my new house and I’am looking to start a garden but there where weeds everywhere. Interesting post. Very lovely garden. With that much space I would try an aquaponics organic set up. 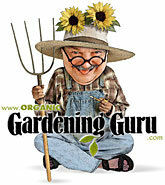 It’s one of the most maintenance free form of organic gardening. Really interesting approach to getting weed-free, I shall have to try it. I love the post. Dr Lee’s garden is refreshing and his approach to gardening is a must-try for me. Thanks for the advice. Excellent information – thanks for sharing! your garden picture is beautiful! I have raised beds made from old cow manure any other suggestions on how to keep weeds down. I love your blog. Lots of great insights. I invite you to drop by my new blog via the link above or my page on Facebook. I randomly read this blog but honestly the post and advices are really nice. Thanks for sharing with us.